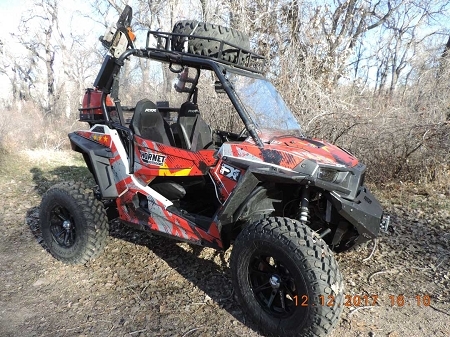 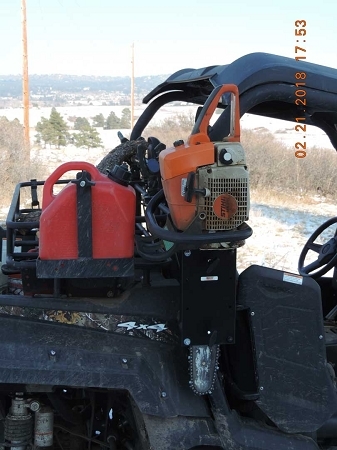 When the trail ahead is as long as it is rough, you need equipment made to last. 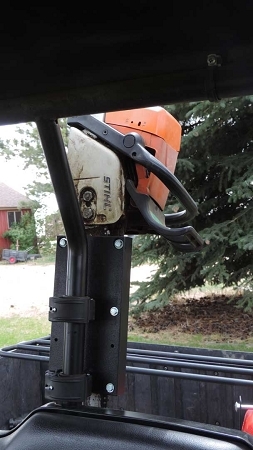 The chainsaw mount that is SOLID and still simple to install, this is it! 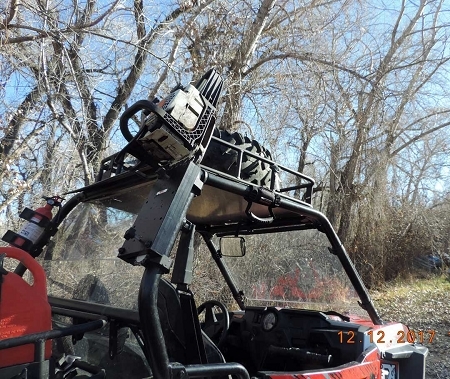 Perfect for Utility vehicles as well as Sport vehicles such as the RZR, Ranger, General or other UTV's that have up to 2" Round roll bars. 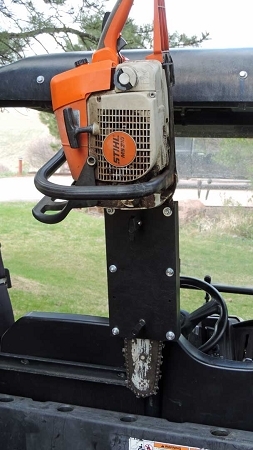 The chainsaw sheath is machined from solid HDPE so your chain will stay sharp, and integrated in to machined solid Aluminum bases. 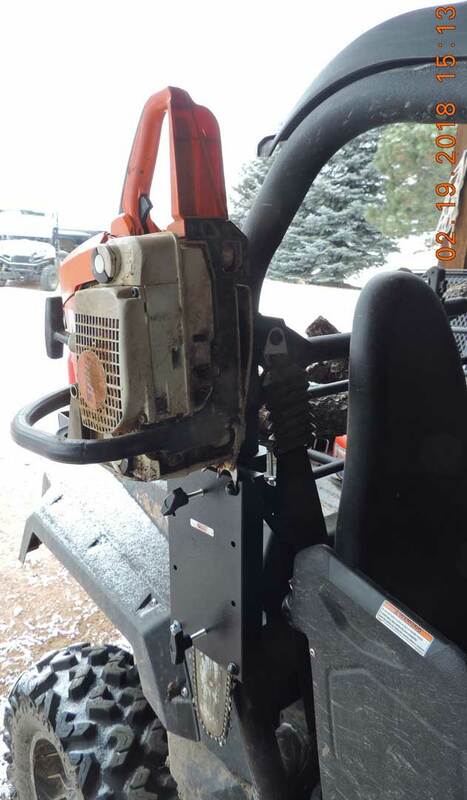 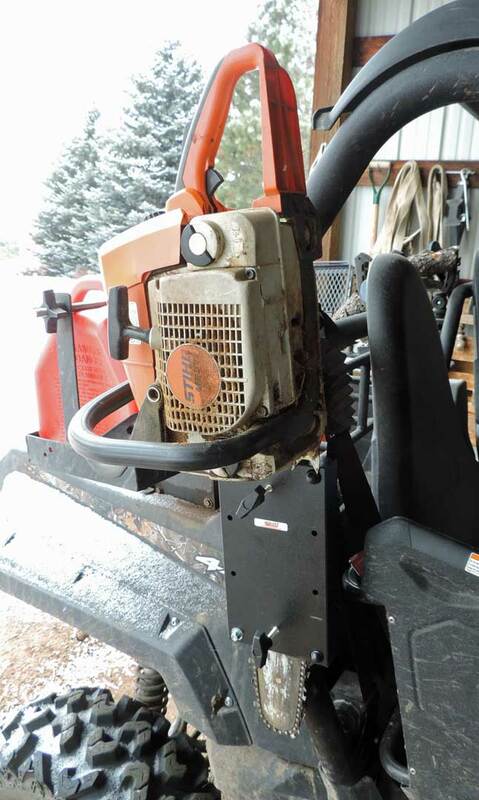 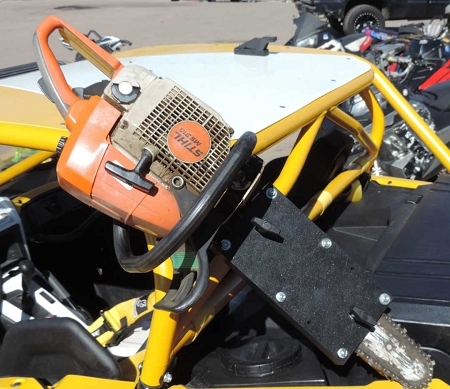 RCM-3012 offers the best in support and security for your chainsaw when you want the flexibility to mount it on either a Horizontal or Vertical round roll bar or bumper. 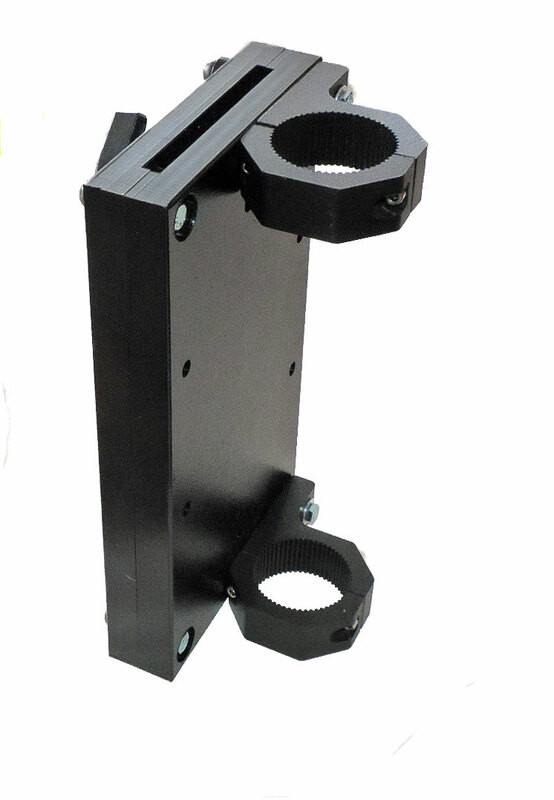 Fit round pipe/tube 1.5" to 2.0" diameter round tube/pipe. 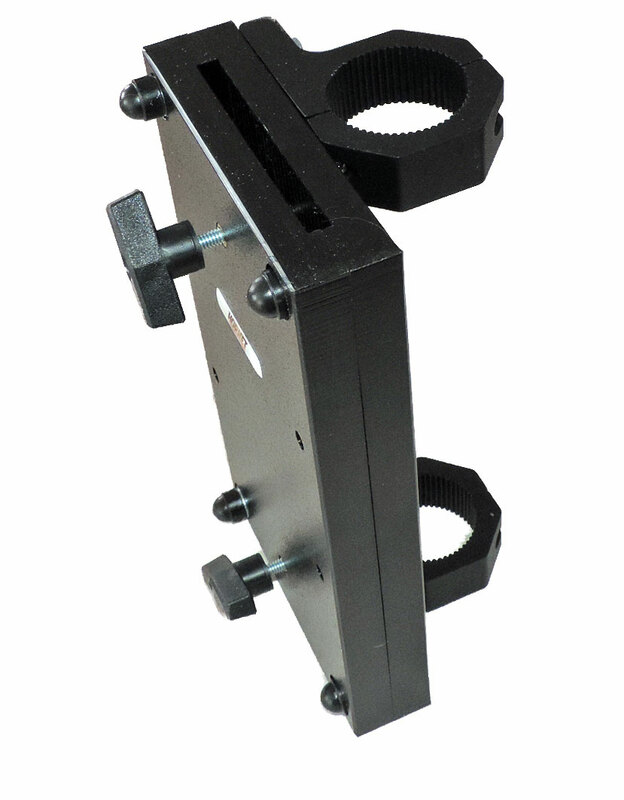 Includes 2 T knobs that tighten down on your bar so it won't rattle.